Dos Armadillos Tequila | BEFORE GODS. BEFORE KINGS. It begins with the Legend of the Armadillo. The Legend of the Armadillo says that during the second sun, an armadillo carried on its armor a handful of clay. Teotl, the supreme god, took the clay in his hands, brought it close to the sun, molded Man, and gave it life. He then took the armor of the armadillo, and placed it on Man’s hands for protection. Since then, the armadillo has been recognized as the protector of the ancient cultures of Mexico. This legend gives rise today to the tequila that was shaped by a history conceived before gods, before kings. 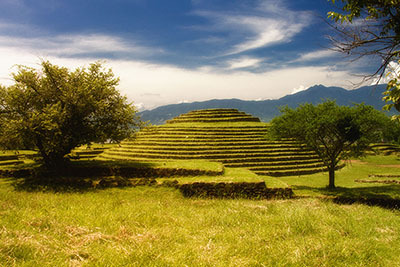 Learn more about the historic archaelogical site and inspiration for Dos Armadillos Tequila. Explore the beauty and effort put into every bottle of Dos Armadillos Tequila and learn about our master artist, Carlos Bustos. 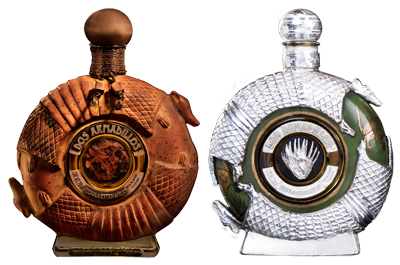 Meet the family behind Dos Armadillos Tequila.